EghtesadOnline: Tehran has warned Riyadh against keeping up its rhetorical blame game against Iran and its divisive policies in the region a day after the Saudi foreign minister once again targeted Iran with a flurry of baseless accusations against the Islamic Republic. 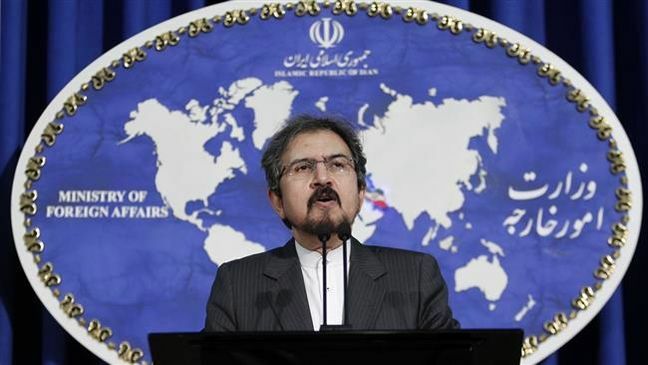 Responding to the allegation, according to PressTV, Iranian Foreign Ministry spokesman Bahram Qassemi highlighted the Saudi regime’s “highly destructive actions” in the region, saying the Riyadh regime cannot evade its responsibility for such policies by resorting to blame games and political gestures. Qassemi cautioned Riyadh against maintaining its long-winded rhetoric against Iran as well as its destabilizing and divisive moves in the region. The countries of the region have seen no positive action on the part of the Saudi government over the recent several years, he added. The Iranian official further said the kingdom has been violating human rights, trying to sow division among Arab and Muslim countries, repeating and propagating unfounded and baseless claims, and laying economic siege on its neighbors. Moreover, Qassemi said, Riyadh has been threatening other countries with taking war to their soil, pressuring other countries’ officials to resign and trampling on their dignity, interfering in others’ affairs to bring about destabilization, and trying to sabotage international agreements. “Such policies send a serious warning to the entire region and the world, and should come to an end as soon as possible,” the official asserted. Either through direct or proxy wars, Riyadh has been trying to advance its agenda throughout the region over the past years. Among other measures, it has been bombing Yemen to restore its favorite government there, supporting anti-government militants in Syria, helping Bahrain crush dissent, and laying, together with its allies, an embargo on Qatar. Most recently, Riyadh also pressured Lebanon’s Prime Minister Saad Hariri to resign on Saudi soil-- a move that triggered international outcry against interference in the country’s internal affairs. And now, it has threatened to take more serious actions against Lebanon’s resistance movement Hezbollah, which it has been trying to weaken for more than a decade, despite the group’s long-standing contribution to Lebanon’s security.